Is this your current Soul's Moon Phase? you can get this image as a card or print HERE! NO MINIMUM ORDER, AND THE SHIPPING IS FREE FOR ALL THE GIRLFRIENDS! 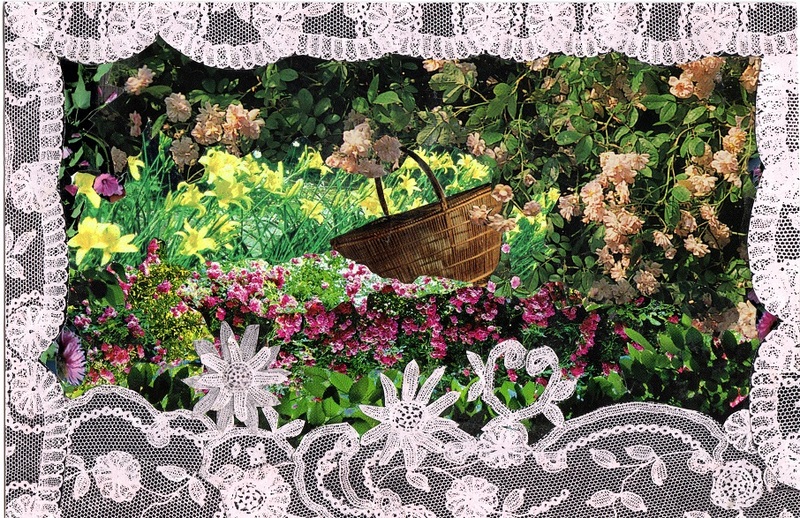 Sharon's best selling card - you can see why! We all need "STRENGTH" ! ￼The light of the moon is growing now and you can see it as it brightly illumines the night time landscape. You have just entered your First Quarter Moon Phase. You are one quarter of the way or about 7 years plus a few months into this 29 Year Great Moon Cycle. 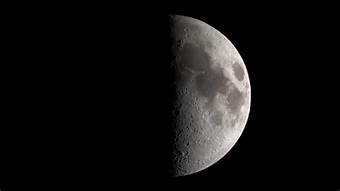 One quarter of the way is why this is called your FIRST QUARTER PHASE - even though when you look at the moon it appears to be about half full. This phase will last approximately 3 ½ years and is the time of the taking of a new direction. You are beginning to establish a structure for your goals. This is a time of making new identify. 1. NEW MOON ( YOU DON'T SEE THE FIRST PART OF IT AS THE MOON IS TOTALLY DARK. THEN IT BECOMES A TEENY TINY SLIVER OF A MOON.....ah, lovely. 2. CRESCENT MOON (BIRTH OF NEW SPIRIT) Horns to the LEFT! 5. 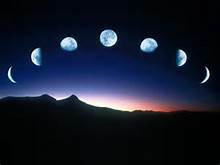 FULL MOON - LASTS 3 12/ DAYS EACH MONTH OR 3 AND 1/2 YEARS IN YOUR 29 YEAR LUNATION CYCLE as does each phase. 6. DISSEMINATING PHASE (BIRTH OF SOUL) Loosing light but still bright. Having trouble knowing just which phase you're in??? - email me at dixiegladstone@yahoo.com and give me your: 1. name 2. birth date 3. birth time and 4. birth place - I'll get back to you in a few days with your Soul's Moon Phase! Read CYCLES OF BECOMING #1 and #2 if you are new to my web site so you can catch up to this lovely group of womoon, women opps! This offer is FREE FROM ME! Now, back to the MEANING and TASK OF YOUR SOUL'S FIRST QUARTER PHASE. "Dorothy in the cyclone with one of her evil witches!" You have been preparing yourself for this phase for the past seven plus years. Your new aspirations may reach a crisis involving the taking of some important action that will claim for yourself your new identity. Sometimes we need a “push” to get going at this time. You may (or probably WILL) experience this as a ”whirlwind” around which a series of events gets you moving to actualize and make commitments to your new direction. 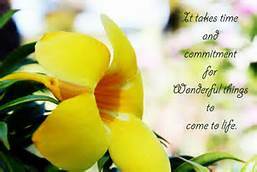 "It takes time and commitment for wonderful things to come to life." At First Quarter Moon Phase we are like teenagers who think they know everything, but in truth, they haven’t experienced much yet. Like them we will experience anger or frustration as we venture forth. There will be tension, confrontation, fear of failure and its consequences. You are on your journey! You will need to cultivate courage and confidence, otherwise the fear and tension that arises from these confrontations can lead to blocked psychological energy. (which we all have).You will know this is happening when you feel angry or frustrated. But you will feel proud too and happy as you overcome these obstacles on your path and begin to establish the new you. This is the time to make decisions that will move you ahead. As you take direct action you build and firmly establish a Structure or FORM that can hold your goals, dreams and aspirations; the ones you were cooking up at Crescent Moon Time (that was the last 3 ½ year phase which is now past). It is at this First Quarter Moon time that your QUEST truly begins! "The way to have power is to take it!" Somewhere along this First Quarter, you must take your power – this is part of the claiming of your new identity and making firm boundaries to hold it. You will show yourself how much power you have to overcome hardships and obstacles. You take along Toto, for he represents your INSTINCTS, (learned wisdom from your past)....you will need them. "You must CULTIVATE new courage by going where you have not gone before." You ‘step out’ into a wider world which is New Territory for you. As you take steps forward you cultivate a new found confidence. What is it about? Is your tension partly a result of setting foot on new ground? Do you wonder whether it will hold or not? 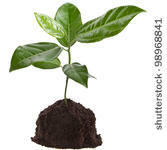 Your seedling is putting down roots and has begun to grow – it is becoming clear what the plant is. In the sprouting stage all sprouts look similar, but by about midway into First Quarter we can identify what the plant is going to become. 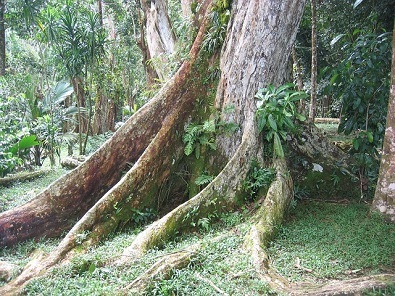 You put down deep roots which anchor you toward a new forward momentum. 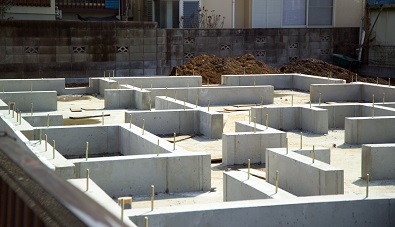 You need a good foundation now so that later on what you are building can stand and grow upon it. This new foundation doesn’t get built all at once. Remember you are in the First Quarter Phase for 3 ½ years. As your phase progresses you get clearer and clearer about what you want and about what you don’t want. In order to lay your foundation, you lay one board, then another, nailing each in place. This takes time. Think of this phase as ‘One Step At A Time’ journeying. You can’t see your foundation when this cycle begins but by the time it ends you have made some new commitment either inside yourself or in the outer world. Most likely it will be some of both. You are developing inner commitment and the outer world will begin to manifest what you have been committing to! Your energy and your activity begin to increase. "Toto, I've got a feeling, we're not in kansas anymore." As your First Quarter Phase progresses you will see the vast and uncharted potential within yourself. Like Dorothy in the story, The Wonderful the Wizard of Oz, you will land in a wonderful place, a place you have never been before, a place like Oz and you will know for certain: “Toto, we’re not in Kansas anymore”. You, like Dorothy, must kill the witches of your past to finally release this new self within. 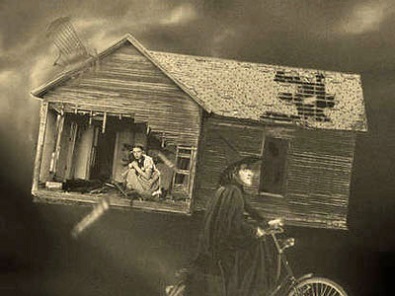 Before Dorothy really can set foot upon her journey her house goes up in a cyclone and she is taken far away from home. The house lands directly on the witch of the East, killing her!..........innocently, she does this without even knowing what has happened! The wicked witch of the East represents the power of your past over you. You must take back your Power! 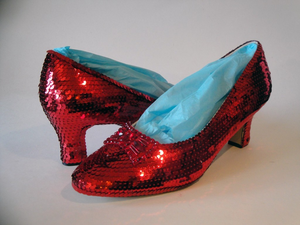 Dorothy claims the witches’ ruby slippers and puts them on her feet. 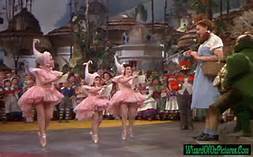 The witche's ruby slippers transfer to Dorothy a wonderful empowerment that helps her to make a decision to follow the Yellow Brick Road. "Let Dorothy go to the City of Emeralds." was written in white chalk on the slate of the good witches hat! "The land of Oz has never been civilized, for we are cut off from all the rest of the world. Therefore we still have witches and wizards amongst us." This she must do if she wants to meet the Wizard who knows all! 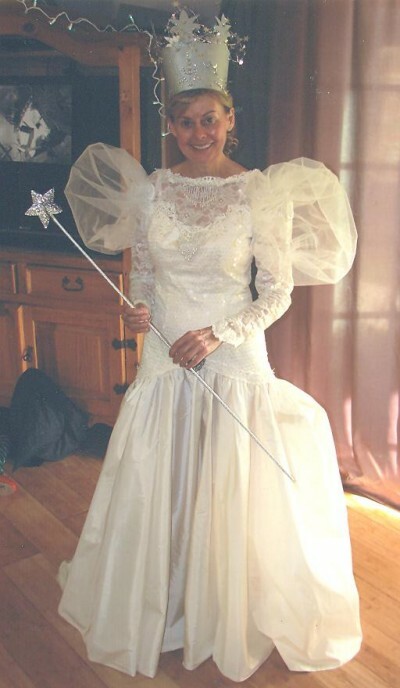 Only the Wizard can help her get back home! Dorothy meets the Munchkins. The munchkins represent the undeveloped parts within you. Small and meek but with spirit, they are in need of Dorothy’s passion to grow. They know it is a long way to the Emerald City and it will take many days. The little munchkins encourage and cheer Dorothy along. They help inspire her to follow her Yellow Brick Road. 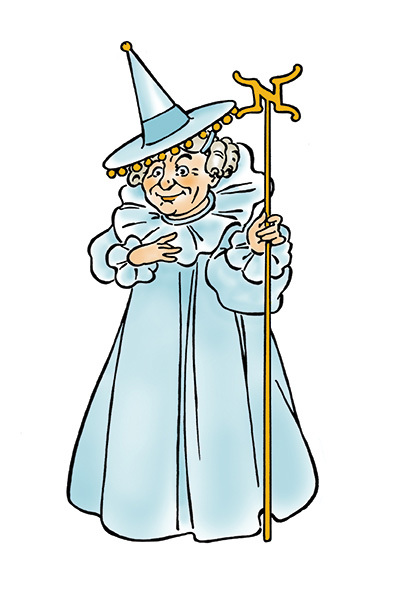 Dorothy represents your strong, young woman self (even if you are a ‘crone’ and going around this wheel for the third time you will be a ‘maiden’ at First Quarter Moon Phase). 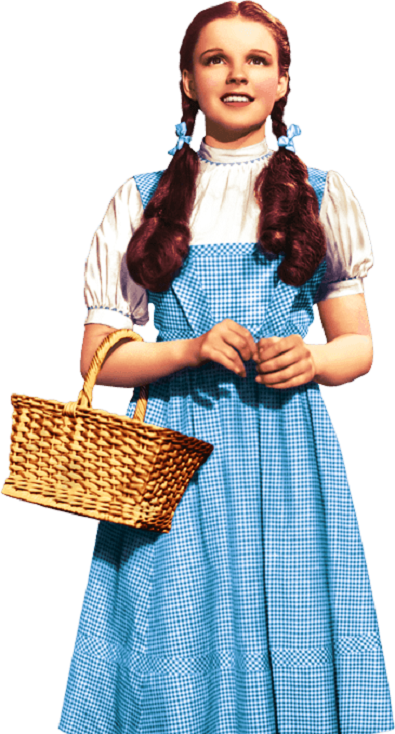 Like Dorothy, you are young and passionate when you come to your First Quarter Phase and eager to set foot on a new path of living. 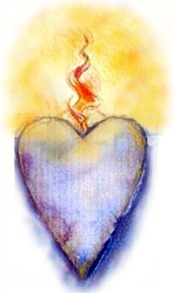 It is not unusual to have an experience of heart rendering or opening at this time. The munchkins present Dorothy with a basket of goodies to fortify her on her way. This is her Basket of Soul. She will fill it with many experiences as she journeys along. And she will take from it what she needs for nourishment. She is promised that the country to which she is traveling, Oz, is rich and pleasant, but that she must pass through rough and dangerous territory before she can reach the end of her journey. 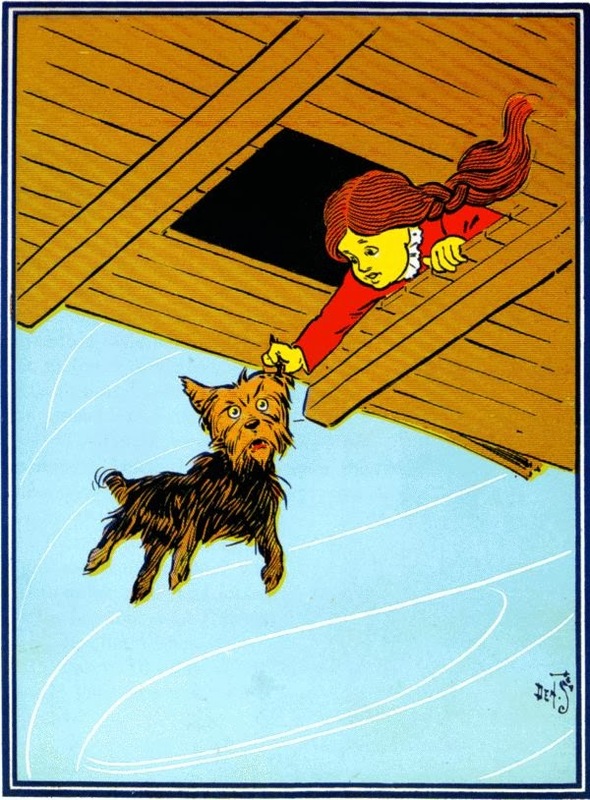 Dorothy bravely decides to go on despite her fear. 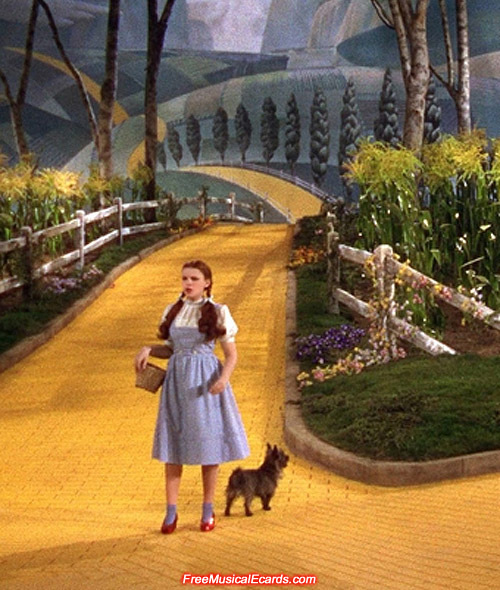 With her dog, Toto, in one arm and her basket of Soul in her other, she steps foot on The Yellow Brick Road. She knows there will be tension and confrontation up ahead. And though she fears failure and its consequences.... she takes a step,…then another, …and another. You too will take a step, a risk that you have not taken before. You are on your journey! 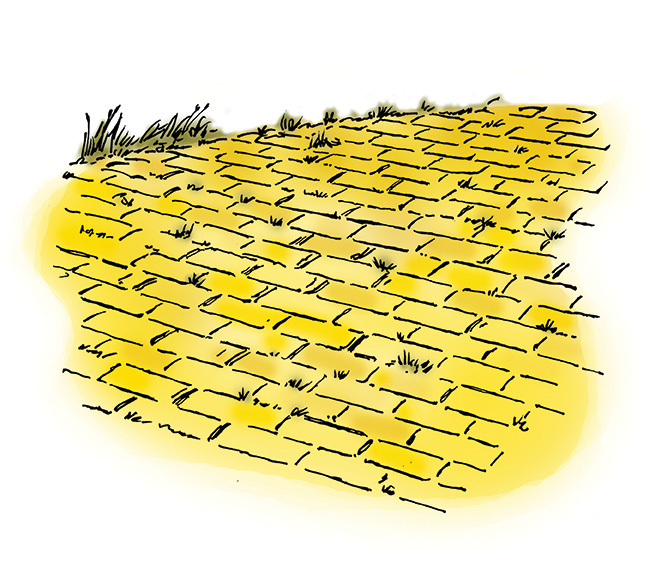 The Yellow Brick Road is at your feet! This is why First Quarter is called a “Crisis in Consciousness” time by Dane Rudyar in his book Lunation Cycle. You must overcome your fears in order to move ahead a step at a time. The growing woman forces her own issues for the sake of the clarified individual she is becoming. As you make decisions that move you ahead and begin to establish a form or structure that can hold your goals, dreams and aspirations, you know your QUEST has begun. 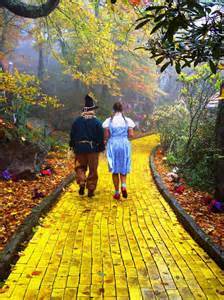 Dorothy sets foot upon the Yellow Brick Road and becomes aware of her growing sense of personal self, that she is alone on her journey. But, lo, just as she feels this sense of isolation along her path, she meets the Scarecrow, the Tin Man and the Lion. They too are yearning to move along and to fill a void in their lives. This yearning comes from deep within your soul and from your need to grow and feed your self or family, and your Soul which is trying to realize its wholeness. 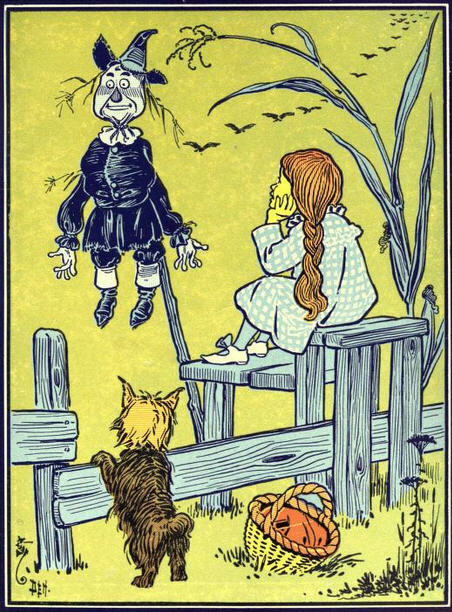 In the lush corn fields Dorothy meets the Scarecrow who is nailed to a post and can’t go anywhere! He lets others hold him back and feels a fool for it! He needs BRAINS and is willing to venture forward in order to meet the Wizard who will bestow these to him. 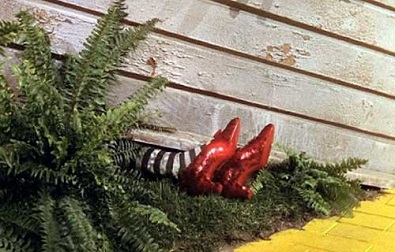 As he sets foot on the path with Dorothy he stumbles and falls into a hole. Dorothy asks “Why didn’t you walk around it?” “I don’t know enough,” he replies. You too will not know many things. Part of your journey now is to venture out there and find out what you are lacking in! The Tin Man stands rusted in the fields. He can’t move or blink an eye. But he can moan which he does! “Get an oil can and oil my joints” he groans. 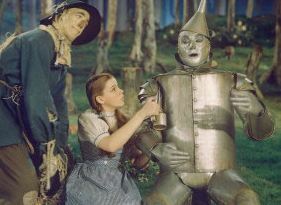 They oil him up a bit and Dorothy tells the Tin Man to stop his self pity, that he must take the next step even though it feels scary. He decides that anything is better to him then wallowing away rusted in this corn patch day after day. He will do anything for a HEART. He longs to love and be loved. So he is willing to let go of his self pity and indecisiveness and take the journey to Oz with Dorothy. You too will grow your heart as you step forth on your path. At times you must TAKE HEART, for you will not have fully developed what it is inside you that can grow a greater heart. You have passion which can lead you and your heart is willing to learn and grow. That is enough. 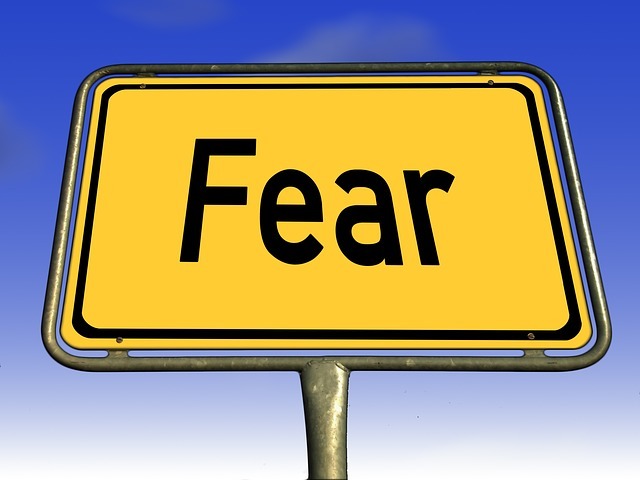 As you move forward on your path you will notice that you are feeling some fear of getting yourself “out there” into the real world where you must prove yourself to others. It is our love for LIFE that will carry us onward and give us the courage we need just to take that next step. One step at a time, which is all we are asked to take. 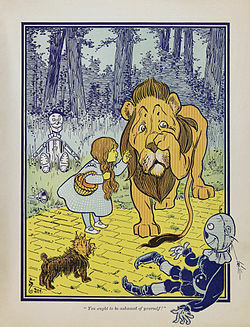 The Scarecrow, the Tin Man and the Lion failed to venture down the path until Dorothy came along. Dorothy inspires them to join her quest. Dorothy has inspired them with her innocent, eager and promising young natural self. She is LIFE itself coming to meet you. Be ready! She will come to offer you a way out of your suffering and longing. As you awaken to the deeper realities that suffering brings, your First Quarter Phase will smash your complacency and force you to become alive in a special sense. As the phase progresses, you begin to see more carefully and feel more deeply. You will get closer to yourself and your world in ways you may have been avoiding. You are BEGINNING THE BIRTH of your AUTHENTIC SELF into the world. In the plant kingdom, after the sprout begins its growth toward the light it must then put DOWN deep roots. Dorothy becomes rooted to her path, to her friends and allies, and committed to her journey. You may choose new friends during the last part of your First Quarter Moon, or old friends will take on new roles for you! Alongside her, they gave her the courage she needs to impel her forward. The four together set a goal. They imagine it to be possible. Your new imaginings can give you a clear mind. You begin to let energy flow for the good of others and one another, you begin to show your courage and spirit, your new life strength. It may not be possible to think all positive thoughts! But you try anyway! At this stage we TAKE HEART! TRYING COUNTS! And it may be all we have here at our First Quarter Phase. Dorothy is your Maiden Soul Self and carries the passion and innocence of the small self that is the direct pilgrim of your soul. She is spirited! And that is your TRUE SPIRIT growing inside you. Allow her passion to carry you along your new Yellow Brick Road. 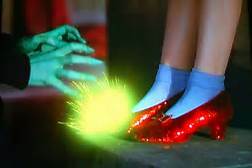 You are gaining the power of those Ruby Slippers. Those SLIPPERS! They are your new ROOT POWER (look again at Sharon’s image of STRENGTH, at how deeply the woman’s roots keep her strong in the world!). 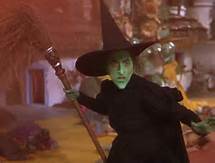 You have killed the wicked witch within when you are not stopped by the challenges that lay ahead of you. You have taken her power and injected her strength and wisdom onto your feet! 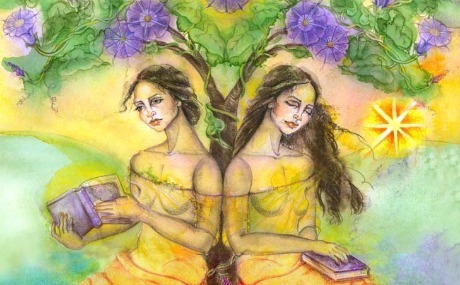 What new identity are you claiming for yourself at the end of your First Quarter Great Moon Phase? 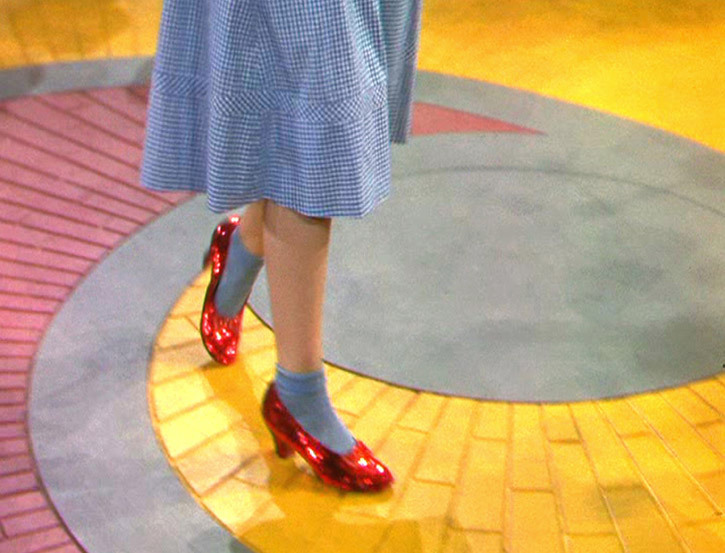 Those Ruby Slippers are on YOUR feet! CLAIM THEM GIRL AND GO! Feel free to pass this article along to your friends or social media buddies! They too can find out what MOON PHASE their Soul is in. 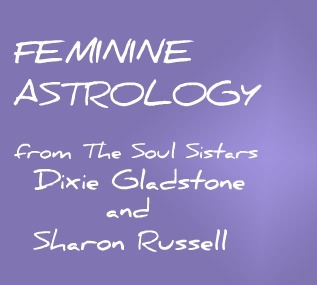 Please DO address your questions to me at: dixiegladstone@yahoo.com.........women, we are in new territory with MOON PHASES....I expect some of you may be feeling confused as poor Dorothy was...I need to know what you are thinking, so go ahead and ASK,... PLEASE! Once we take foot on our Yellow Brick Road we simply must stop being so shy! COMING NEXT: GIBBOUS MOON......TRAVELING ON THE YELLOW BRICK ROAD!